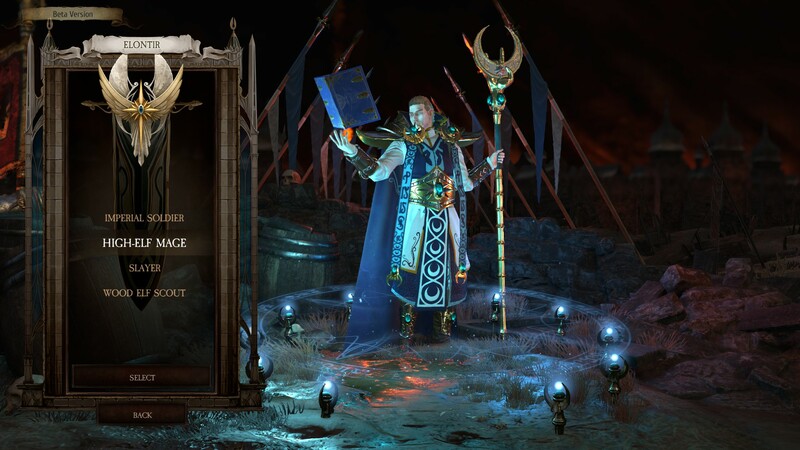 We spent a couple of hours with the Warhammer: Chaosbane beta and found ourselves lost in a world reminiscent of the Diablo series, with just as much murderous fun and a pretty deep RPG system. 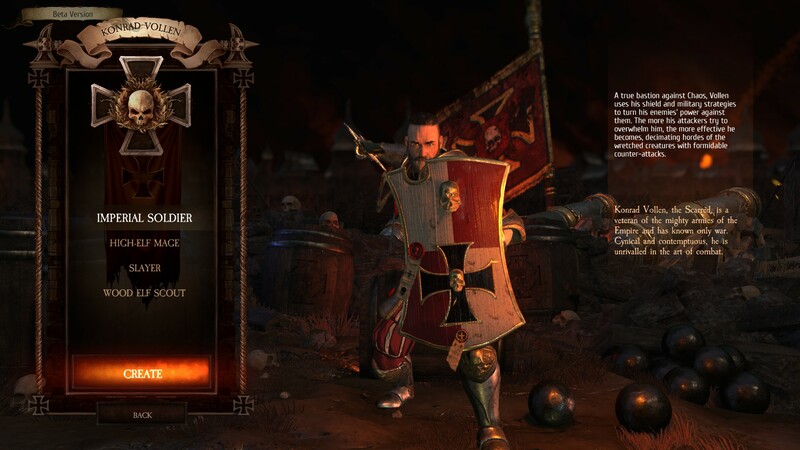 Warhammer: Chaosbane is an action role-playing game for up to four players, pitting you against the hordes of chaos in iconic locales of the Warhammer world. Visit Praag, Nuln, and other known areas, tearing through hordes of Chaos spawn and the followers of the gods, as one of four distinct classes and races. The beta gave us access to the Empire Soldier and the High Elf Mage, both with their own play style and special attacks. The Slayer and the Wood Elf Scout both look like intriguing characters and we look forward to spending some time with each once the game is completed. Even though the game is only in beta testing right now, what we played felt polished and ready for primetime. We paired up with a friend for some co-op slaughter, and those Chaos monsters didn’t stand a chance. 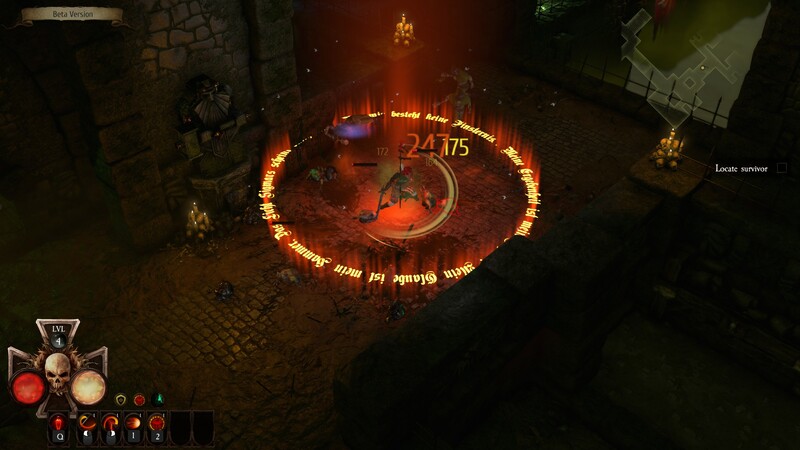 The game felt a lot like the original RPG dungeon crawler Diablo, and that’s not a bad thing. On the PC you can use either a game pad or the mouse and keyboard, and the mouse combo brought back some fun memories. Slicing, dicing, and bashing our way through the bodies of a wide variety of bad guys made for some fun gameplay. 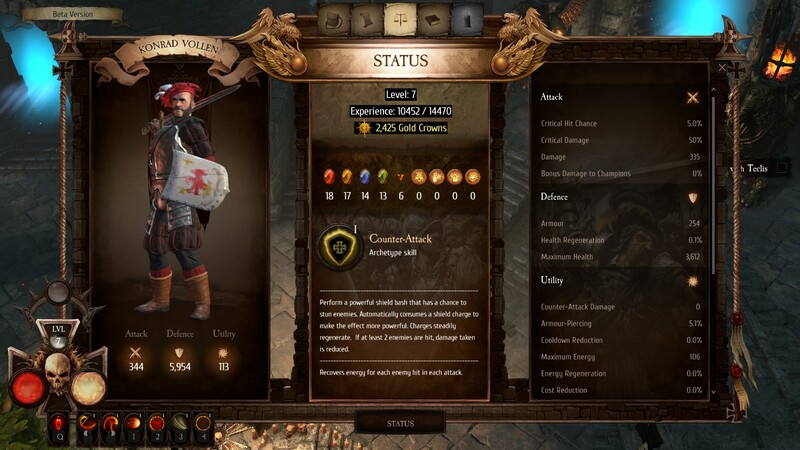 The RPG elements of the game are pretty deep, and finding armor in boxes or having monsters drop some after bashing them kept us constantly looking to see which pieces best fit our gameplay and style, all the while making sure we had the best armor available. New attacks are unlocked as you progress up the leveling system, and these attacks became key to taking out the hordes of enemies we encountered. We tried out both the PC and PS4 beta, and both versions performed well and looked great. The story driven dungeon crawling, coupled with the gold and armor dropping at a pretty good rate, had us moving up the leveling system pretty quick, as we hit level 10 fairly fast. The beta allows you to hit 20 but we didn’t want to get too far as the beta may not save the items we gathered up. Most betas don’t, so we didn’t want to venture too far but at the same time wanted to make sure we went far enough to see how well the game played, and it played pretty great. Warhammer: Chaosbane is set to launch for the PS4, Xbox One, and PC this May, and it’s already shaping up to be an epic game. If you loved a good dungeon crawling hack and slash, keep this game on your radar!